Wood sorrel is unrelated to the Rumex sorrels. They are all called sorrel not because they are related but because of because of their sour taste. Presumably Sorrel is a corruption of "Sourell" - for all the sorrels have the same sharp taste. The leavers on wood sorrel are smaller that most of the rumex sorrels and the leaves are not usually of the same agreeable texture, although nevertheless quite acceptable. There are many related oxalixes, many of which are good to eat. 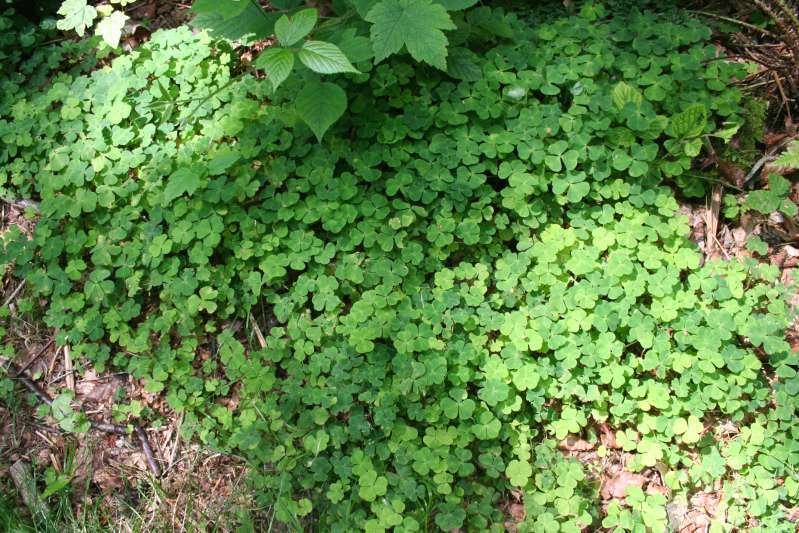 Wood sorrel is one of the best. The picture was taken at Felbrigg Hall on 8th June 2008. Page first published Monday 09th of March 2009.